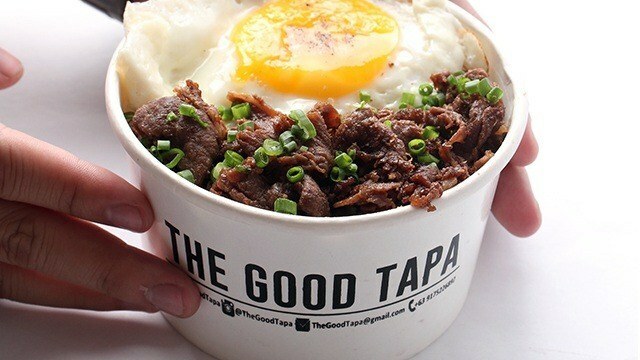 The founders of The Good Tapa, a food joint that serves different versions of the popular Filipino breakfast fare all day, had always dreamed of opening their own restaurant. But due to lack of capital, they went instead for the less costly option of serving their signature dish in weekend bazaars. “We only had a capital of Php20,000. 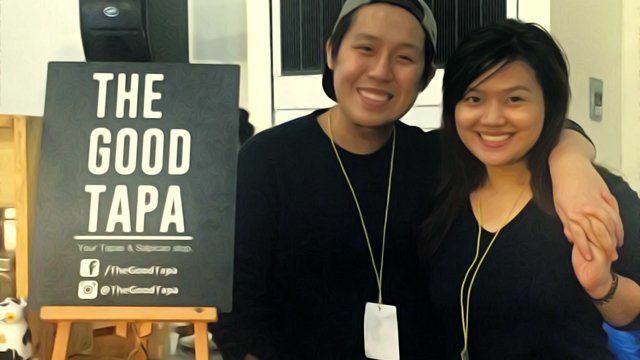 Everything else that we needed, we just got from home,” said Geremy Kho, a culinary course graduate who started The Good Tapa with Fatima Ventura in March 2016. To test the market for their food concept, they joined a weekend bazaar at the UP Town Center in Quezon City. The results from their first try were disappointing because the event wasn't very well promoted; they just broke even. Despite that, they persisted. “The turnout of the bazaar itself wasn’t that good. But we just booked the next bazaar and the next. We never thought of stopping,” Kho said. One of the reasons why many first-time entrepreneurs join bazaars is the relatively low rent. Some bazaars charge a daily rent of only Php500 but the more established ones charge higher rental fees. “People who go to bazaars are those with minimal funds. At the same time, (they) want fast money,” Ventura said. “But bazaars are exhausting. It took a toll on us at one point because we have full-time work on weekdays then go to bazaars on weekends. It’s not easy,” she said. Running a food stall in weekend bazaars entails moving all the necessary equipment each time, shopping for supplies, long set-up hours and being there to oversee things for at least two days. “For those who want to try it, I would advise them to think about it again,” Kho cautioned would-be bazaar food entrepreneurs. But the food bazaar experience was generally rewarding for Kho and Ventura. On a good bazaar day, The Good Tapa can sell up to 500 bowls priced between Php150 and Php250 each. “Bazaars are about earning and gaining market share. When we sometimes relocate to another bazaar in another city, customers would recall our brand already, which is good,” Ventura said. The business partners also learned valuable insights on the food business. Ventura realized that Filipinos eat with their eyes—one reason for the popularity of restaurant menus with pictures of the food. Foreigners, particularly Germans and Singaporeans, on the other hand, like a detailed description and list of ingredients that go into each dish. With good insights on what customers like, Kho whittled down their selection of sauces for the tapa to just four from seven, cutting down wastage and cost. After several months of regularly joining weekend food bazaars, Kho and Ventura felt they were ready to scale up. However, they still lacked capital to open a real restaurant so they settled for the next best thing: open shop in a food park. In January 2017, they signed up for a permanent space at The Yard Underground in Pasig City, using their savings from food bazaars as starting capital, which amounted to a little more than Php100,000. Bulk of the money went into the construction of their eight-sqm stall inside a renovated container van. Most of their investment went into creating a unique look and feel of their small place. They bought a pricey griddle just so customers can see how their food is prepared (the cost of which was offset by using an eight-year-old refrigerator from home instead of buying a new one). Warm, bright lights illuminate their space so customers can easily spot them in the food park, which is always crowded. Ventura also had their bowls properly labeled. “We operated like how we would want to if we had a full-scale restaurant. Those little things: branding, packaging—they all matter to the millennial customer,” Ventura said. While diners may be more forgiving if the food is photo-worthy or affordably priced, they are quite demanding about taste and quality for costlier dishes. If they don't like the taste or presentation of pricey food, they'll say so and tell their friends (and the whole world) on social media. 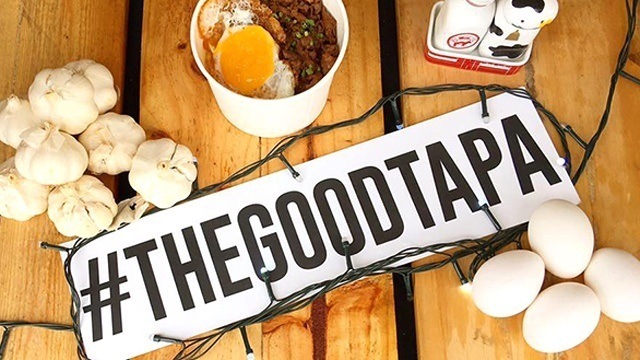 So far, The Good Tapa has been doing extremely well since setting up shop at The Yard Underground in January despite rental and common use fees that could reach up to Php45,000 a month. In fact, the partners say they have already recouped their initial investment of "a little over a hundred thousand" pesos just two weeks after opening. The Good Tapa owners don't mind the relatively higher rental and other fees charged by The Yard since the food park's operators do a good job of marketing the dining destination online. “I think that’s what food parks really do—to market you well online. If you’re going to put up your own restaurant, it would take a whole lot more investment and effort,” Kho said. Oddly, the challenge of operating daily in a food park compared to the weekly cycle of food bazaars was one that the Kho and Ventura found easiest to master. Since all equipment and inventories are set up permanently, there's no need for tedious set-up and movement which was common practice during their bazaar days. Their months of operations in weekend bazaars also gave their staff enough training to operate on their own in the food park, freeing the owners from having to do the work themselves. After recovering their initial investment and with a steady cash flow, Kho and Ventura are already planning to set up shop in other food parks this year. They're hoping the business gathers enough revenue momentum to enable them to eventually fulfill their dream of opening a full-scale restaurant. “I think you have to come here with an exit plan so when you’ve reached a certain goal, then you know how to move forward,” Ventura said. Exiting from food parks to enter the restaurant business—that certainly looks like a good plan.